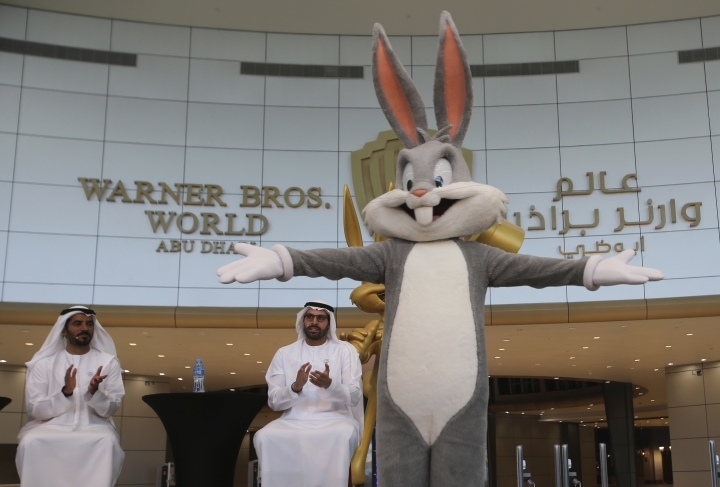 ABU DHABI, United Arab Emirates — Abu Dhabi will open a $1 billion indoor Warner Bros. amusement park this July, officials announced Wednesday, the latest offering in a crowded market in the United Arab Emirates where one marquee park already faces serious financial problems. 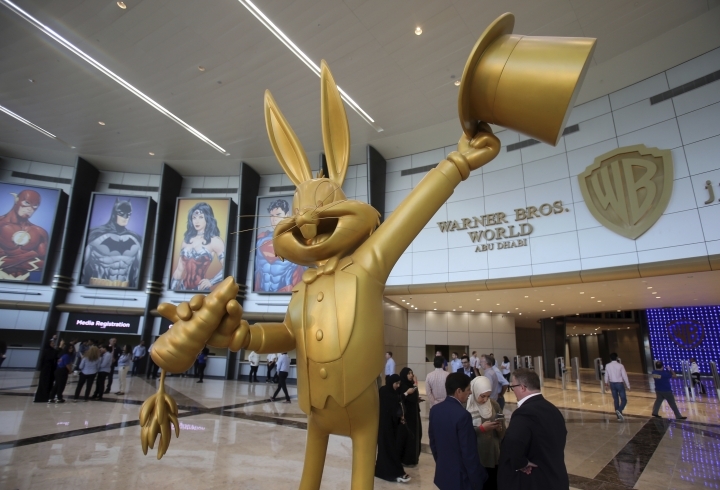 The Warner Bros. World park, built by the Abu Dhabi government-owned Miral Asset Management, encompasses 1.65 million square feet (153,290 square meters) on Yas Island, a leisure destination for the Emirati capital. 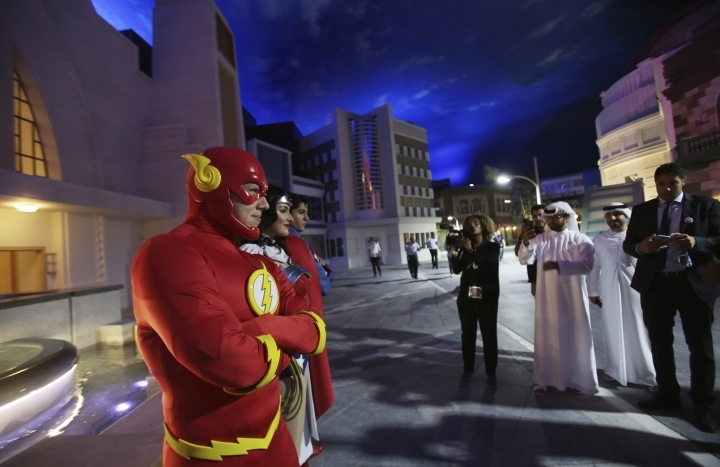 Officials say the draw of the Warner Bros. brand, encompassing cartoons and comic books, will help them overcome the challenges faced by other theme parks in the Emirates, including a Dubai park that lost $300 million last year. 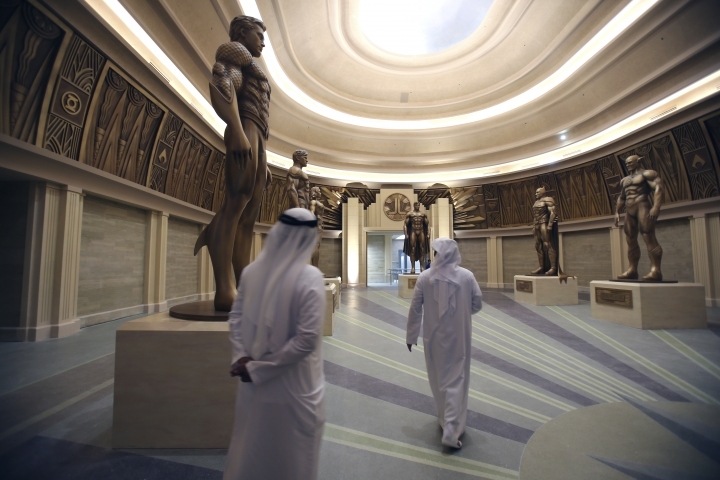 "This is history, a hundred year's history, when we talk about Superman, Batman, Wonder Woman," said Mohamed Khalifa al-Mubarak, the chairman of both Miral and Abu Dhabi's Department of Culture and Tourism. "It's something we grew up with, our parents grew up with and our children will grow up with. In this theme park, you will be part of their world." The large park looks like a big-box department store from the outside, though its bright yellow paint and massive stencils of Tweety bird and other characters give it away. Inside, the park is separated into Bedrock of "The Flintstones'" fame, Superman's Metropolis, Batman's Gotham City, Cartoon Junction and Yosemite Sam's Dynamite Gulch. Only two of the park's 29 rides have height restrictions. Being inside also helps. Summertime temperatures easily reach above 40 degrees Celsius (104 degrees Fahrenheit) with high humidity across the UAE, a federation of seven sheikhdoms on the Arabian Peninsula. The park, opening July 25, will sell tickets from 290 dirhams ($79) for adults and 230 dirhams ($63) for children. However, there has been trouble for other amusement park projects in the Emirates. Dubai Parks & Resorts opened a massive park worth over $3 billion in 2016 along the dusty highway connecting Dubai to Abu Dhabi. Featuring a Legoland, a movie-themed Motiongate park, a Bollywood park, a hotel and shopping district, the massive investment is majority-owned by Meraas, a firm backed by Dubai ruler Sheikh Mohammed bin Rashid Al Maktoum. But the park, whose biggest foreign shareholders include sovereign wealth funds in Qatar and Kuwait, posted a loss of 1.1 billion dirhams ($300 million) in 2017. Its stock dropped by half from a high of 1.01 dirhams (27 cents) to 45 fils (12 cents) a share over the last year. In the time since, the park has changed CEOs, sought a freeze on loan repayments for three years and fired nearly a third of its staff. It says its strategy is working and is likely pinning much of its hopes on the 25 million people it anticipates coming to the area as part of the 2020 World Expo, or world's fair. Dubai Parks & Resorts told The Associated Press on Wednesday it still planned to finish a planned Six Flags expansion by next year and that "2017 is not reflective of the full potential of the destination." "The company has received support from its financing partners as well as its majority shareholder who maintain their conviction in the long-term prospects of the business," the park said in a statement. Dubai hosts another indoor park similar to Warner Bros. called IMG Worlds of Adventure, which opened in August 2016. That park, owned by a private company called the Ilyas and Mustafa Galadari Group that doesn't publicly disclose its earnings, did not respond to a request for comment. Al-Mubarak made a point to say the Warner Bros. park would be "the world's biggest indoor theme park," a claim previously made by IMG Worlds of Adventure, which is 1.5 million square feet (140,000 square meters). Asked at a news conference about Dubai Parks & Resorts' $300 million loss last year, al-Mubarak said he believed the Warner Bros. park had "a sustainable business plan." "It is a business plan that's not based on an optimistic perspective," he said. Al-Mubarak said he'd elaborate after the news conference. Staff at the Warner Bros. park later declined to make any official available to speak to the AP. The Warner Bros. park does benefit from being on Yas Island, already home to the Ferrari World theme park, Abu Dhabi's Formula 1 race track, a large mall and a waterpark. Both Dubai theme parks are further out in the desert, away from other attractions. However, such attractions could face a new challenge in coming years. Typically, Dubai and other UAE destinations rely heavily on tourism from other countries in the Gulf Cooperation Council, a regional bloc encompassing Bahrain, Kuwait, Oman, Qatar, Saudi Arabia and the UAE. Already, the ongoing Qatar diplomatic crisis has stopped visitors from Doha coming into the UAE. Meanwhile, Saudi Arabia under its assertive 32-year-old Crown Prince Mohammed bin Salman is rapidly loosening social more in the ultraconservative kingdom. Wednesday night, it planned to a private screening of the Hollywood blockbuster "Black Panther" to mark the reopening of cinemas after a 35-year absence. Saudi Arabia separately signed an agreement earlier this month with Grand Prairie, Texas-based amusement park chain Six Flags to open a park near the capital, Riyadh, in 2022.